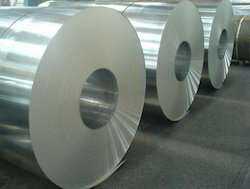 We are engaged in offering Aluminum Coils to our clients. These coils are very tensile and are resistant to rusting and corrosion. These finds its application in metal and many more industries and are known for their best quality. These coils also offer deep drawing, fine grain, minimum airing and anodizing quality. While rendering the services, we make sure to keep the quality standards maintain.